Who ordered the hit on James Ransom's Teslas? 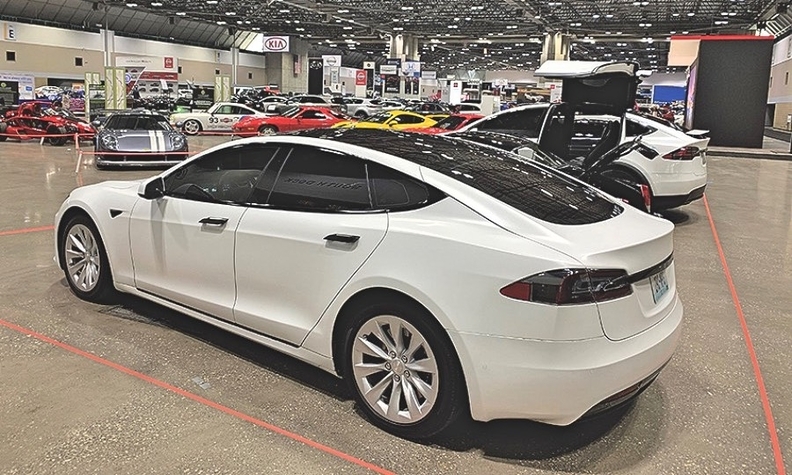 Ransom had volunteered to display his Model X and Model S at the Kansas City Auto Show in Missouri, March 6-10, as part of an exhibit to publicize a local automotive museum. But after one day on display, the EVs were evicted, allegedly on the orders of the Automobile Dealers Association of Greater Kansas City, the show's host. "The museum representative was very apologetic about the situation," Ransom told Automotive News last week, recalling the phone call he received. "But he essentially told me that someone higher up in the [association] wanted the Teslas gone because they weren't part of the association and the automaker does not use dealerships for their sales." The hubbub was first reported by The Drive. Ken Smiley, president of a local Tesla owners club, wonders why the Teslas were singled out. "There was a Noble there, a couple Ariel Atoms, a Lamborghini and some Pontiacs," he said. "They aren't members of the dealers association. So are they being asked to leave, too?" Smiley showed Automotive News an email he sent to the dealer group's CEO and the show's floor manager requesting an explanation but said he hasn't gotten a reply. Neither the association nor auto show organizers responded to multiple messages seeking comment.